Why would I need self storage in Las Vegas, NV? There are a variety of reasons why you might need self-storage in Las Vegas, NV. How much is a storage unit in Las Vegas, NV? The cheapest storage unit in Las Vegas, NV is $31.00 per month. What size storage units do you have available in Las Vegas, NV? In Las Vegas, NV we have sizes that range from 4'x4' to 10'x30' to suit your storage needs. How much is it for a 4'x4' storage unit in Las Vegas, NV? The cheapest 4'x4' storage unit in Las Vegas, NV is $35.00 per month. Located in Nevada's Mojave Desert, Las Vegas is an oasis of fun-filled entertainment, with a variety of hotels, spas, restaurants, casinos and celebrity-hosted shows. It consistently ranks as one of the top tourist destinations in the world, and makes regular appearances in popular culture, serving as the backdrop for countless movies, television shows and music videos. 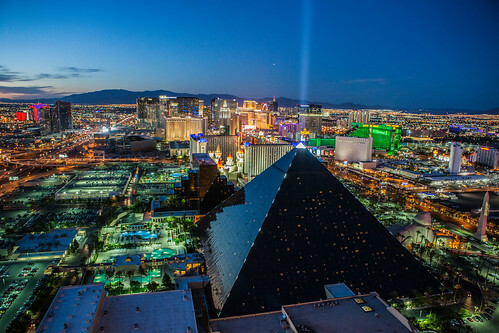 Aside from its reputation as a resort city, Las Vegas is also one of the fastest-growing areas in the country, with a population that has more than quadrupled since the 1970s. It's home to a large number of diverse families and young workers, many of whom are attracted to the extremely active job market. Although many think of Las Vegas only as "Sin City" and the home of the hard-partying Las Vegas Strip, it's much more than that. The city is host to a variety of family-friendly events, historic and cultural museums, local performing arts venues and hundreds of green spaces and parks. The earliest archaeological artifacts in Las Vegas date back over 10,000 years and were, left by traveling Native American tribes. Rafael River, a young Mexican scout, was the first non-native to discover the area of Las Vegas, and Mexican traders came through the valley on their way to California in 1829. It was then that Las Vegas earned its name, which translates to "the meadows." Westward travelers made Las Vegas a popular destination because it offered much-needed water from desert springs. In 1844, American explorer John C. Fremont arrived in the area and, wrote glowing descriptions of Las Vegas that captured the attention of many settlers. In 1931, the city experienced an explosion of growth with the legalization of gambling and construction of the Hoover Dam. Thanks to a boom in construction and local business, the city passed through the Great Depression unscathed. Throughout the 1950s and 1960s it continued to grow, and famous businessmen, including Howard Hughes, built many iconic casinos. Recently, the city has undergone a few revitalization efforts, with a significant focus on the now-vibrant downtown area. With no city or state taxes and an active job market, Las Vegas is constantly drawing people from a variety of fields. Thanks to its flourishing tourism market, the city is a hot spot for new and growing businesses, offering an ever-growing consumer market. You'll find a large number of jobs in hospitality and entertainment as well as the restaurant and retail industries. Recent efforts to attract high-tech and health care businesses to Las Vegas have been successful in diversifying the economy and opening even more job opportunities. However, the largest employers in the city remain casino and hotel corporations, many of which employ tens of thousands of Las Vegas locals. If you're not looking for a position in hospitality or entertainment, then Walmart, the Valley Health System and SuperValu are just a few of the other large employers to choose from. Just north of the center of the city is the active community of North Las Vegas, providing a variety of recreational amenities. It's known for its large number of golf courses and offers many hiking trails that let you enjoy the Las Vegas weather. Thanks to its close proximity to the Las Vegas Strip, Spring Valley is home to many people who work in the hospitality and entertainment industries. However, there are plenty of green spaces and family-friendly areas that provide a retreat from the hustle and bustle of the city, and its residents include tennis star Andrew Agassi. The Lakes is a master-planned community that's primarily filled with a variety of single-family homes, many of them well above the million-dollar price range. It's named for the large man-made lake, Lake Sahara, located at its center. The suburb of Summerlin, named after the grandmother of business tycoon Howard Hughes, is located next to Red Rock Canyon and the Spring Mountains. Every Fourth of July, the neighborhood hosts the large Summerlin Council Patriotic Parade, complete with floats, marching bands and giant balloons. The Clark County School District, one of the largest in the nation, serves the primary and secondary public schools in Las Vegas. There are also several private and charter schools in the city, with grades from kindergarten through high school. If you're planning to pursue your degree in Las Vegas, the main post-secondary institutions are the College of Southern Nevada and the University of Nevada, Las Vegas. The city is also home to a large medical school as well as a campus of the Le Cordon Bleu College of Culinary Arts. You can also attend any one of the many other colleges and universities surrounding the city. Utilities: The local electricity provider is NV Energy, and the Las Vegas Valley Water District manages water and sewer services. Garbage and Recycling: Republic Services provides regular curbside collection of trash and recyclables. Transportation: RTC Transit facilitates bus service in and around Las Vegas, and there are also many inter-city routes covered by other small companies. A rapid-transit link provides easy access to downtown and the Las Vegas Strip. The desert metropolis of Las Vegas has many residential suburbs with easy access to shopping, entertainment and schools. Whether you're hoping to live close to the action of the Las Vegas Strip or want a quiet family-friendly neighborhood, there are plenty of housing options. Our lowest priced units in Las Vegas, NV average $67.11 per month. 1526 people have reserved units in Las Vegas, NV in the past 30 days. There are 19 locations within Las Vegas, NV's city limits. There are 19 locations in Las Vegas, NV that offer AC and Heating features.